It's the end of the world! 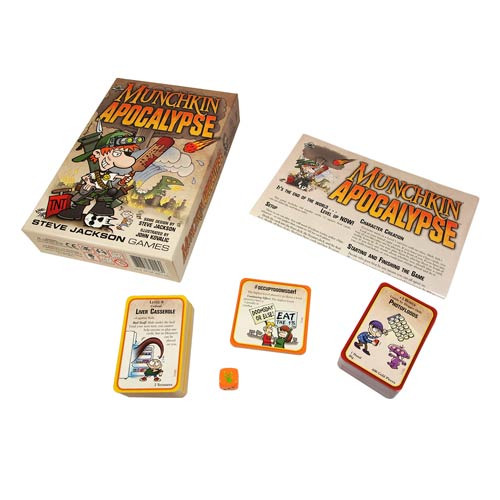 In the Munchkin Apocalypse Game, every possible natural and unnatural disaster has happened. You are a rugged survivor in a world full of people and things that want to kill you and take your stuff. So, do it to them first! And what's with all these seals running around? Don't they know the world's about to end? You really should keep an eye on that seventh one in particular. Includes 168 regular cards, 12 square Seal cards, a unique six-sided die, and a rule sheet. Ages 10 and up!